Iran appointed a known criminal as ambassador in Iraq? It was known on march 15 2017 that the Iraqi government has accepted the revolutionary guard brigadier General Iraj Masjedi, a war criminal as the Iranian regime’s ambassador in Baghdad. Iraj Masjedi is a senior advisor to the terrorist Qasem Soleimani, the commander of the Quds force. The general stated in January 2017 that the frontlines for Iran are Damascus and Aleppo in Syria and Mosul and Fallujah in Iraq. So this appointment should be a warning sign for the rest of the world regarding Iran’s plans for the middle east region. It is no secret that the regimes big dream is to create a Shiite crescent with Tehran as its capital. And the regime needs more proxy states that they can exploit since they have plundered the wealth of Iran almost to the bone. The biggest mistake the US did after they invaded Iraq was to open the Iraqi doors for the theocratic dictatorship in Iran. this turned Iraq into a platform for Iranian export of fundamentalism and terrorism to the whole region. This has caused destabilization and war throughout the whole middle east. Masjedi’s agenda in the region is to expand the regime's influence in the Iraqi government by preventing free elections and to ensure the return of the vicious Nouri al-Maliki and his thugs in power. Masjedi have said that the regime encourages the cooperation of Shi'ite groups, but the entry of problematic individuals must be prevented. In 2005 the Iranian resistance revealed a document revealing 32,000 Iraqis on the IRGC payroll in Iraq. The Iraqi traitors have entered Iraq under strict control by the IRGC commanders, including Qassem Soleimani, Iraj Masjedi, Ahmad Forouzadeh and Hamid Taghavi. The traitors have infiltrated the political, economic, military and security apparatus. The document contains the date of recruitment, the name of the unit they served in, and their personnel number, and their bank account and salaries. 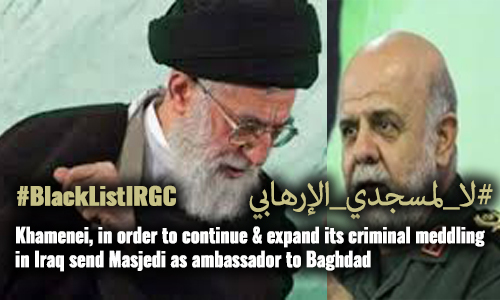 The appointment of Masjedi is a clear indication that the Iranian regime wishes to continue, and expand their criminal meddling in Iraq. Iraj Masjedi was the first commander of the Quds force after its formal creation in 1990. Masjedi was one of the commanders behind the massacres and forcible displacement of the Sunni population in Al-Anbar province in 2013. Masjedi has had a major role in the formation of the Iraqi criminal militias and Hashed-Al-Shabi and the killings performed by these groups have been fully under Masjedi’s monitoring. The list of crimes that Masjedi is responsible for is long and bloody and must be taken seriously when the world reacts to the new ambassador. We must object and we must never acknowledge the appointment. Masjedi is a criminal and must be put on trial for his crimes. He has orchestrated the killings of thousands of innocent civilians and must be put behind bars for the rest of his life, not sit as ambassador in Iraq. 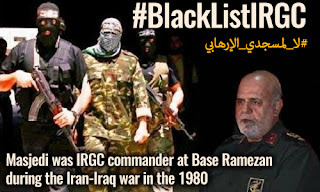 The IRGC and the Iranian regime must be blacklisted as terrorists if we wish for peace and stability in the middle east. 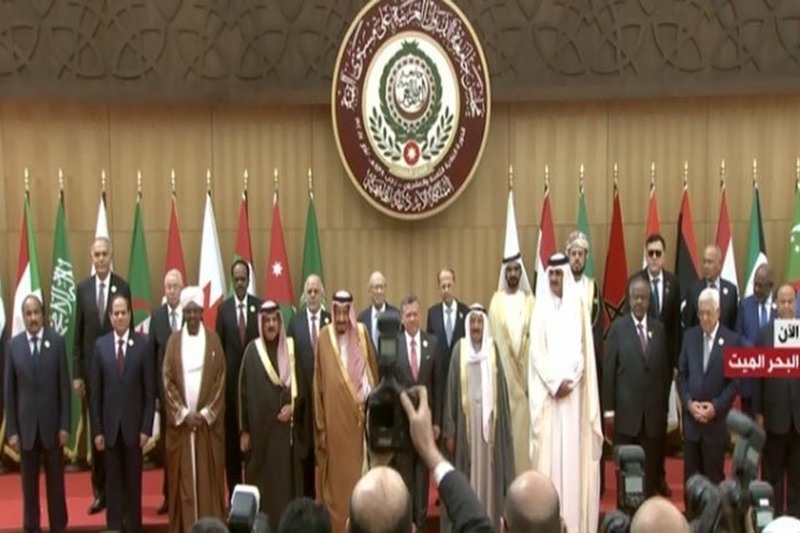 the Arab League hold a summit in Amman and on that occasion, the NCRI has issued a statement. The first and most important step to end war and crises in the middle east is an expulsion of the Iranian regime and the IRGC from the region. On the eve of the Arab summit in Jordan, the Iranian resistance is pointing out the importance of cutting the regime off from the region by expelling them from all countries in the region and to include the IRGC on the terrorist list. This will be the best solution to end the war in the Arab and Islamic world. The circumstances regarding the summit have proven that the mullahs in Iran have given clear indications that they have no intentions of abandon the export of terrorism and religious extremism and fueling wars. This is the regime's strategy to stay in power. Due to social upheaval, the regime clings to their power as the struggle goes on in the government wings. Regarding the war in Syria Khamenei said that if the regime did not confront the American-zionist aggression outside Iranian borders they would have had to confront them in the streets of Tehran, Khorasan, and Isfahan. In an interview inNovember 2016, Mullah Mehdi Taeb pointed to a plot by Iran’s proxies in Yemen to occupy Saudi Arabia and the holy city of Mecca. Prior to this, he had emphasized on the regime’s influence over four Arab Capitals –Baghdad, Damascus, Beirut, and Sanaa. The Iranian regime has been aiding the Houthis with weapons and has escalated the shipments and that they have increased the presence of members of the Guard and Lebanese and Iraqi militias in the different parts of Yemen. In Lebanon, the regime is building a number of factories for weapon production for the Hezbollah. The Syrian opposition has announced that the main obstacle for a ceasefire in Syria is the Iranian regime. Not only that but the IRGC was behind the massacre in Aleppo. In Bahrain, Iranian-backed terrorists have increased their terrorist acts. The Iranian people have expressed their discontent with the regime's meddling and crimes in regional countries they wish for friendship and peace with the middle east nations. The regime has been spending the wealth of the Iranian people on warmongering and killings throughout the middle east region at a time when the regime’s former trade minister said 45 million of Irans 80 million population can barely make ends meet. 60% of Iranians cannot balance their income and 11 million are living under the poverty line. terrorism. Ending all relations with Tehran will deliver a severe blow to the mullahs and IRGC. The Iranian people and Resistance are struggling alongside Arab and Islamic countries to overthrow the mullahs’ regime, establish democracy and a popular rule, and peace and stability across the region. Supporting this struggle is dire in establishing peace and tranquility across the Middle East. February 19, 2017- U.S. Republican senators plan to introduce legislation to impose further sanctions on Iran, accusing it of violating U.N. Security Council resolutions by testing ballistic missiles and acting to "destabilize" the Middle East, a U.S. senator said Sunday, Reuters reported. A new bill in the US Senate would set mandatory sanctions for anyone involved With Iran's ballistic missile program and we must BlackList IRGC to resolve the issue. The decision of holding Iran accountable for their actions comes with perfect timing. This is a crucial point for the war in Syria which Iran is participating with soldiers and money. 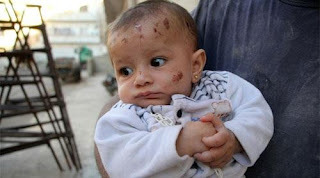 To put sanctions on Iran will make it more difficult for Iran to support Assad’s genocide in Syria. The missile tests that was conducted by Iran right after Trump took office has prompted the new administration to impose sanctions on individuals and entities linked to the IRGC. The crucial issue now is that the sanctions must be firm and steadfast, it must not leave any doubt in Tehran that this is how it will be from now on. The US has imposed sanctions on 30 foreign companies or individuals for transferring sensitive technology to Iran. eleven companies or individuals from China, North Korea or the United Arab Emirates were sanctioned for technology transfer that could boost Tehran’s ballistic missile program. Concerning the situation in Iran, it is important to remember that Mrs. Rajavi with the Iranian resistance have stated for many years that there must be no doubt what the regime’s intentions are regarding nuclear weapons. She also added that to prevent the terrorist regime from acquiring nuclear weapons there must be diplomatic, technological, arms and oil sanctions imposed on the regime. To get sanctions now will weaken the regime just before the election in May and the appearance of power will be gone. That will give the people of Iran a new boost to remove the mullahs from power and to bring forth a must needed regime change. Until now the regime has been rewarded for their terrorist behavior with Obama's appeasement policy but the last bill is marking a shift in the US’s perception of the regime. We are looking ahead with new eyes to the middle east and I believe this new approach against the mullahs will bring peace and stability to the region. 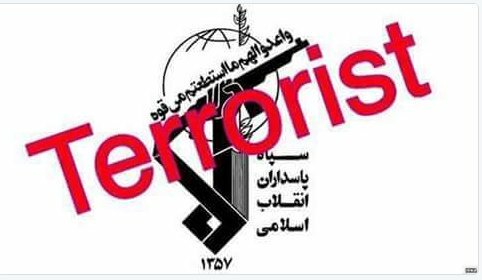 To prevent the regime from meddling in their neighboring countries is necessary to blacklist the IRGC as a terrorist organization. Therefore we are saluting the US congress and senate for the initiative to undo the damage done by the Obama administration and to show the Iranian regime that there will be no more appeasement policy but a firm path from now on. There must be no doubt in Tehran what the intentions of the world are. Iran has in the past days found themselves under scrutiny more than ever, the meeting between the Saudi Deputy Crown Prince and the American President marks a new future for the Islamic regime in Iran. It is of utmost importance that other countries in the middle east cut all ties with the terrorist regime in Tehran. The only way to get peace and stability in the region is to expel the Iranian regime from all Islamic countries in the middle east. The Iranian regime has been fueling the war in Syria by sending IRGC soldiers to fight on the ground with Assad’s forces. The same has been done in Iraq and the result is genocide on many innocent civilians in both countries. The only reason the Iranian regime is meddling in their neighboring countries is a wish of creating a Shiite crescent with Tehran as its capital. This must be stopped. The Iranian regime is a dangerous ally because they are not concerned about the welfare of the people but about how they can fill their pockets even more. The regime have exploited the wealth of Iran and it is almost empty so now they need new countries to exploit. If we have an interest of saving the people in the middle east we must protect them from the terrorists in Tehran. We must give aid to those countries who are exposed to the terror. All Muslim countries must unite against the mullahs in Tehran if there is to be any chance of defeating them. The regime must be expelled from all cooperating organs and must be treated as the terrorist regime they are. According to the Saudi political analyst, Dr al-Shahry committed in the whole region. 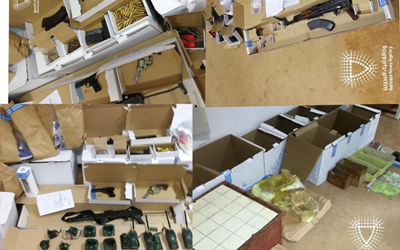 The 54 terrorists arrested in Bahrain was agents from the Iranian regime with the main purpose to create chaos and to lay the ground for a future coup against the government and abuse of the country. In Syria, the meddling is all about maintaining a land corridor to the Hezbollah in Lebanon, the Iranian regime is the main weapon supplier to the Hezbollah terrorist group. In return, the Hezbollah are fighting alongside the IRGC in Syria. the whole Muslim world has witnessed the genocide that the IRGC committed to the innocent civilians in East Aleppo. 900 men and boys were detained and have not been seen since. 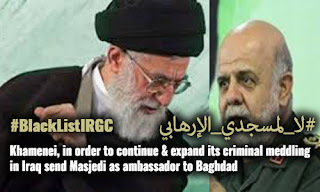 the latest terrorist act committed by the mullahs to the rest of the Islamic world was when they appointed a known terrorist as the new ambassador to Iraq, Iraj Masjedi. He is a known war criminal and his appointment as the new ambassador in Iraq is rising concern in the rest of the world. There is no doubt that the Iranian regime is behind all the chaos and instability in the middle east and they must be stopped by all means available. 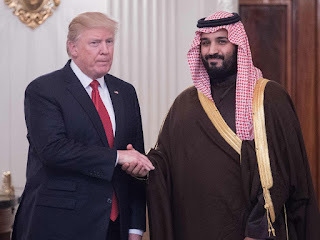 The Islamic countries in the region must unite and remove the regime from the region, only then can the middle east become peaceful and stable. Arabic political activists began a campaign to expel Iranian ambassadors from all Arabic countries. There are many restrictions laid upon women by the Islamic dictators in Tehran. The clerical regime has ratified the human rights bill but they do not give any citizen human rights, especially women. Women are treated as second-class citizens and there are no improvements in sight. As the presidential election are approaching in Iran the regime cracks down even harder on women to prevent any protests. The bans on women can be described as discriminating at best but are really old men’s way of holding on to their crumbling power. As women’s power are growing stronger in Iran the regime is putting more bans on women to try to put the women in chains. Some of the bans are weird, women are not allowed to ride bicycles because it threatens their chastity? It is also forbidden for women to wear boots over their pants. It is forbidden for women to wear clothes that show their body curves. It is forbidden for women to show even a tiny strand of hair outside the hijab which is compulsory, women are encouraged to cover not only their hair but also their faces. A girl is not allowed to object if her father decides to marry her of at the age of 9. Women are also discouraged from taking an education instead of marrying at the age of 9. Girls should be allowed to decide for themselves whether to marry or take an education. Iranian women are not allowed to divorce a violent husband, only the men are allowed to file for divorce. The list of bans on women is long and it is getting longer. The mullahs are aware of that it will be the power of women that will be their downfall and they are terrified of the strength of women. The NCRI have a woman as president-elect and she has been fighting for freedom for 40 years. 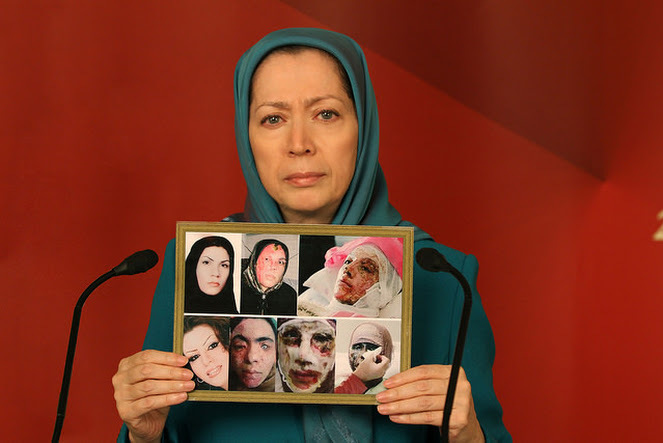 Mrs. Maryam Rajavi is still strong and her strength frightens the mullahs so much that they are trying to get MEK/PMOI listed as terrorists and are spreading fake news and info about the largest opposition organization that fight about 40 years for freedom and democracy in Iran, but the world are no longer fooled by their lies, the world is now aware of that it is the regime that is the terrorists. The regime is practicing medieval punishments against both men and women. Stoning is one of these cruel punishments, amputation is one other horrible punishment. The mullahs have no respect for human lives and especially women. Women are considered property by the mullahs and are not even regarded as human beings. The only solution for Iranian women is a regime change, we must get a regime that is governed by human rights, equal rights for men and women and by justice. The regime claims that their justice system is very good but we have been witness to the execution of a young man before he was sentenced and the culprits were not punished. Iranian women need a government that grants them equal rights under the law and a government that is striving for freedom and democracy for all Iranians. 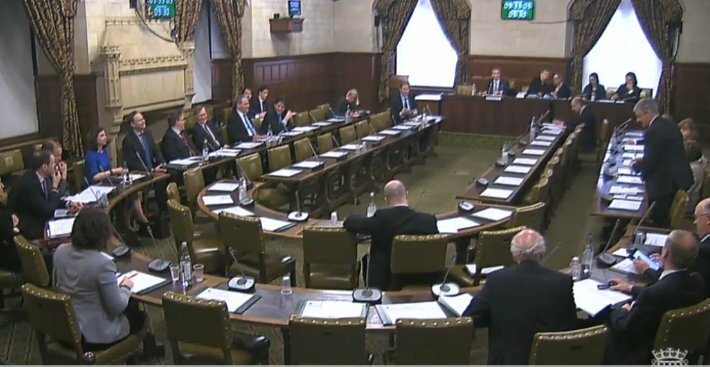 Matthew Offord said in the hearing that Iran is viewing Syria as a valuable route to Lebanon, he also said that the Iranian leadership cites Syria as the 35th province of Iran. 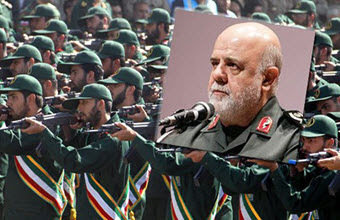 With the escalation of armed resistance in Syria Iran added its military presence in Syria. US Secretary of state John Kerry said ISIS was created by Bashar al-Assad when he released thousands of extremist prisoners. In addition to the Quds force, the IRGC’s ground force, and the regular military as well as non-Iranian forces are involved in Syria. In February 2016, Reuters reported that Iran has increased arms shipment to Syria. Obamas nuclear deal failed to consider human rights situation in Iran. Approximately 1 billion dollars is spent on the salaries of forces affiliated with the IRGC. The assets this deal released for Iran goes to terrorist activities. Joan Ryan said that Iran bears the responsibility for the genocide in Syria. She also said that Iran’s belligerence in the region is also a threat to Europe. She also stated that Mahan air who is helping Iran to supply arms to terrorist groups should be subject to sanctions. 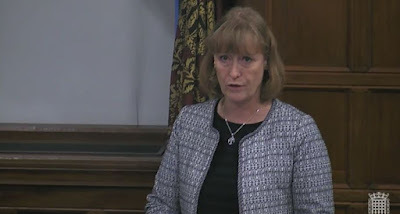 The UK MP said that Iran is the leading sponsor of terrorism, that they maintain a long term relationship with Al-Qaeda, that Hezbollah boasts of the funds it receives from Iran. Part of the problem with Iran is a result of failure of western policies on Iran and the Middle east. Iran is also the leading executioner of children in the world, and women face systematic discrimination. 94 Baha’ii’s are currently imprisoned on alleged national security charges. She also expressed concern of the persecution of Christians in Iran, they are being arrested, our relations with Iran must therefore be conditioned on human rights. David Amess: the core of UK foreign policy has been appeasement and let’s be frank about it, it is about oil. He also said that we must hope for a new policy on Iran by the US. He said that it is appalling the way Iran is treating it’s citizens, killing and torturing them. He said that the UK should be working with like-minded countries to deal with Iran. John Howell: Iran has declined to stop its support for terror organizations. Iran considers Hamas and Hezbollah as liberation organizations and does not consider them as terrorists. 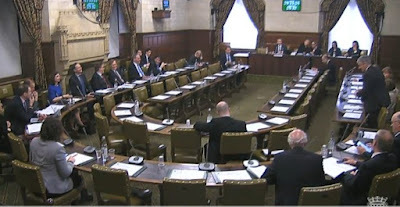 The UK parliament was unanimous in the question regarding Iran, they must be considered a terrorist state and treated accordingly. May freedom and peace be in the near future for Iran and Iranians. Amb John Bolton, who was not present in the hearing , has made it very clear that it is the clerical regime in Tehran that is the main sponsor of terrorism in the world. This statement was supported by the speakers in the hearing. As the new year was approaching in Iran, we saw how the IRGC was treating the celebrating people. The IRGC’s Basij militia, used violence to try to prevent people from celebrating the fire festival. Political prisoners used the fire festival to protest against the regime. The IRGC is using violence with such brutality that it must be compared with a terrorist organization. And this action from the IRGC is not uncommon outside of Iranian borders either. We all remember the 900 missing men and boys from Aleppo, and we all remember the genocide the IRGC was committing in the same city with the help of Assad’s thugs, the Lebanese Hezbollah and the Russian bomber jets. The IRGC has a lot of Syrian children’s lives on their conscience if they have one that is something I doubt. As the citizens of Aleppo was forcefully evacuated the IRGC was using the evacuating convoy’s as target practice, killing wounded people, rescue workers and children. The list of the crimes committed by the IRGC under orders from the clerical regime in Tehran is long and bloody. We all remember the terrible sacrilege that was tried to be committed against the holy city of Mecca by Houthis from Yemen. 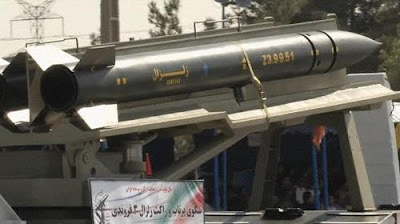 The ballistic missile that was fired against Mecca came from Iran. Iran has for many years fueled the war in Yemen, Iraq and Syria. 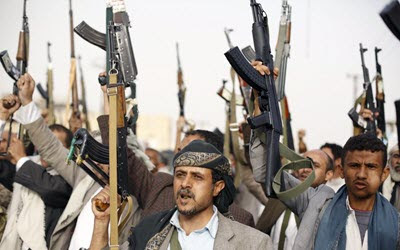 Although in the war in Yemen they are mostly shipping weapons and ammunition to the Houthi’s they do not provide soldiers. But in Syria the IRGC has been fighting on the ground alongside Assad’s army. They have fought with such brutality that they have earned to be classified as a terror organization. There has also been revealed a lot of brutality against Sunni Muslims in Iraq, the IRGC is torturing and brutally murdering innocent civilian Sunni Iraqis. The crimes committed by the IRGC can be compared with the crimes committed by the IS in the same region. There is no secret that the clerical regime in Iran and the IRGC is behind the birth of IS. They are in Syria now under the pretext of fighting IS but if we take a look at the records they have not engaged in combat against IS and Assad has not fought IS either. They have only slaughtered innocent Syrian civilians, mostly children and their mothers, not soldiers. There are also disturbing news about a training camp for children that is training children as young as 5-6 years old in weapons use, the children and their mothers are brainwashed to believe that there is an honor to die as a martyr for the regime. This is no different from the actions of IS. The IRGC is using games and brainwashing to turn the children into loyal canon fodder. The children are trained to hate Israel and USA. This practice started right after the Iranian revolution and child soldiers was used in 2011 to suppress Tehran protesters, according to the Guardian. All this evidence is pointing out that there is no doubt that the IRGC is in fact a terrorist organization and must be branded as one, they must be blacklisted. On march 20 2017, at 11 AM CET, please join Iranians in their demand for a free Iran and join the twitter storm and tweet your support with the hashtags #FreeIran #Nowrouz. Nowruz is an ancient tradition dating back as far as 5000 years. The first to celebrate the new year was the Kurdish Zarthosth worshipers. The jumping over fire comes from these early celebrations. 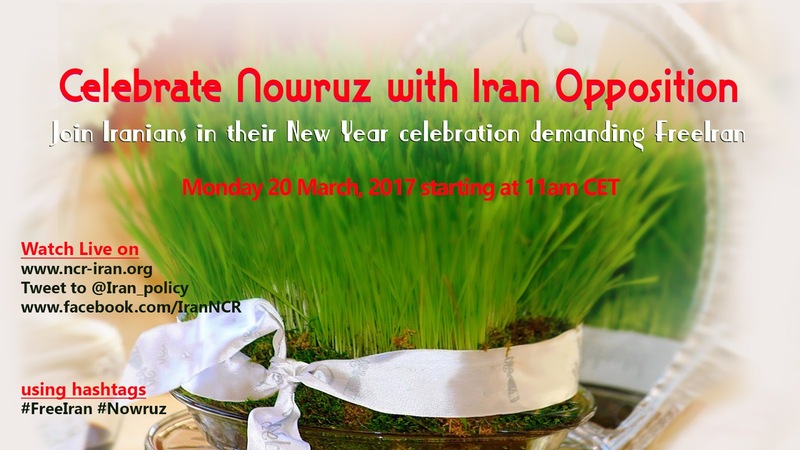 The word Nowruz is made up of two words: nou = new and the word Ruz= day so it literarily means “new-day”. The celebrations take place over 13 days and are starting on the 29. Esfand. In early Persian tradition, the people used 25 days before the celebration to prepare wheat, rye, oats, pies, corn, beans and sesame seed and the seeds that had the best growth was the best crop to sow this year. The celebrations nowadays are quite different. 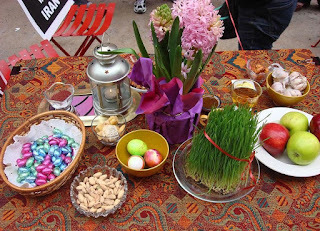 As I mentioned earlier the Nowruz celebrations predates Islam with thousands of years, and was originally a celebration of new life, of the sunlight returning and in the ancient Persia the year was divided into two parts, summer with 7 months and winter 5 months. In Iran, following the 1979 revolution the regime has been trying to eliminate the Nowruz celebrations with very little success. The regime considers Nowruz a pagan holiday and a distraction from Islamic holidays. Every year before Nowruz people are doing Xane tekani, this means spring cleaning and this year this means a spring cleaning of the house of Iran, we must throw out the old and expired (the Regime) and start the new year with clean slates. The Charshanbe suri is celebrated on the last Wednesday eve before the new year. It is usually celebrated with people making bonfires and jumping over them, as well as setting of fireworks and sparkles. The decorative table is a must in the Nowruz celebrations, on the table you must have 7 items starting with the letter S.
In the news emerging from Iranian Nowruz celebrations this year we see that the rallies turned into large protests against the clerical regime, in Tehran youth was burning portraits of Khomeini and Khamenei in protest, people all over Iran chanted Death to the mullahs and mullahs must go. The riot police have been trying to stop the celebrations but their efforts were futile. People have had enough of the mullahs and are longing for a regime change, they are dreaming and wishing for a better life. The clergy in Tehran knows all too well that this means that their days are numbered. The mullahs are trying to prevent their downfall with more suppression, more torture, more arbitrary arrests and more public executions but the people refuse to be silenced. The people will not stop until Iran is free of her chains given her by the Islamic regime. Iranian citizens celebrate Nowruz this year with the hope of a perspective ahead for a good year to come, the year that marks the end of the Mullahs. Jahangir pointed out that the judiciary in Iran is neither independent nor free from influence from the executive pointing to a bill, introduced last July, which if adopted, could further undermine the independence of the lawyers. She was also expressing concern about the vague definition of certain offenses, disrespect for the rights of any accused to be promptly informed about charges against them.Violations of the rights to a fair trial and due process of law. The special rapporteur also voiced concern over the use of torture and ill-treatment. She also expressed concern about the level of fear of those who tried to communicate with her, they expressed fear of reprisals against themselves or their family members living inside the country. 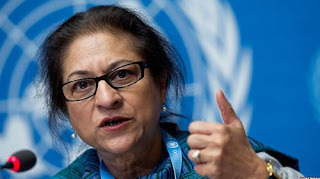 Jahangir also spoke of the high number of executions in Iran and the executions of juveniles as soon as they turned 18. At least 530 people were executed last year, and 156 so far this year, two of them was underage. The UN is condemning death sentences based on confession under torture as illegitimate and must be dismissed in court. She also voiced concern about violence and harassment on religious grounds and restrictions to women’s labor rights, sexual and reproductive health care services and the restrictions of women’s freedom of movement. As the UN special rapporteur so correctly points out, the bill of human rights are not valid in the clerical regime of Iran, they are violating the human rights on a daily basis and do not seem to be changing their practice in the near future. Hasinali, the Parliamentary Assistant Mullah: Rouhani stated that the report of the Special Rapporteur for human rights was unfair and he added: “We must defend our actions at international meetings” the regime also claims that the Special Rapporteur had followed in the steps of Ahmad Shaheed and relied on statements of sources that are connected to the PMOI. The Shargh site although writes that our Government answered their questions and correspondence, the report is the same as the previous Rapporteur’s report, one of the league of Defense of victims of terrorism, saying the decision declaring every hiss of MEK in this lady’s ears But the mullahs regime got defeated in this fight with the Iranian resistance once again. The regime is doing all in their power to be removed from the watch list and from the eyes of the Special Rapporteur. They will never grant access for Jahangir to Iran because they are aware of what they are doing to the Iranian people is grave violations on human rights. And the mullahs know that they are losing power and they will never give it up willingly. The mullahs will continue violating human rights as long as they stay in government, therefore is it of the utmost importance that there is a regime change in Iran to secure all Iranians human rights. As the new year is approaching in Iran, we can see how the IRGC is treating the celebrating people. 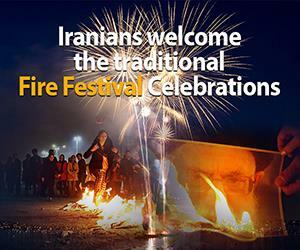 The IRGC’s Basij militia is using violence to try to prevent people from celebrating the fire festival. The IRGC is using violence with such brutality that it must be compared with a terrorist organization. And this action from the IRGC is not uncommon outside of Iranian borders either. The list of the crimes committed by the IRGC under orders from the clerical regime in Tehran is long and bloody. We all remember the terrible sacrilege that was tried to be committed against the holy city of Mecca by Houthis from Yemen. The ballistic missile that was fired against Mecca came from Iran. Iran has for many years fueled the war in Yemen, Iraq and Syria. 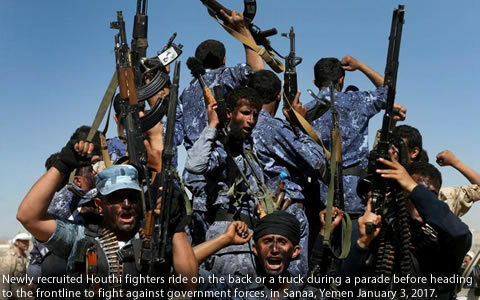 Although in the war in Yemen they are mostly shipping weapons and ammunition to the Houthi’s they do not provide soldiers. But in Syria, the IRGC has been fighting on the ground alongside Assad’s army. They have fought with such brutality that they have earned to be classified as a terror organization. There has also been revealed a lot of brutality against Sunni Muslims in Iraq, the IRGC is torturing and brutally murdering innocent civilian Sunni Iraqis. The crimes committed by the IRGC can be compared with the crimes committed by the IS in the same region. There is no secret that the clerical regime in Iran and the IRGC is behind the birth of IS. They are in Syria now under the pretext of fighting IS but if we take a look at the records they have not engaged in combat against IS and Assad has not fought IS either. They have only slaughtered innocent Syrian civilians, mostly children and their mothers, not soldiers. There are also disturbing news about a training camp for children that is training children as young as 5-6 years old in weapons use, the children and their mothers are brainwashed to believe that there is an honor to die as a martyr for the regime. This is no different from the actions of IS. The IRGC is using games and brainwashing to turn the children into loyal canon fodder. We are witnessing spring all over the northern hemisphere, spring brings hope, a new life and dreams. I hope that this year will bring hope, freedom and democracy to Iran. She deserves a new life, she needs a new life, her people desires new life. It is up to us to help Iran get rid of the despotic dictators that have put her in chains. Iran is a country with a vast wealth that should be used to improve the livelihood of all Iranians, not only the clergy, and it should most definitely not be used to fuel the war in Syria, Iraq or Yemen. But unfortunately that is what we see happening in Iran, the mullahs are putting the wealth of Iran into their own pocket or they are using it for war, this will never change unless we get a regime shift in Iran. 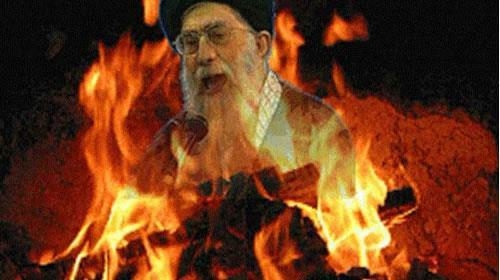 During the fire festival, this year people have been chanting Death to Khamenei, Death to the Velayat al-faqih, Death to mullahs’ regime and Mullahs must be killed. 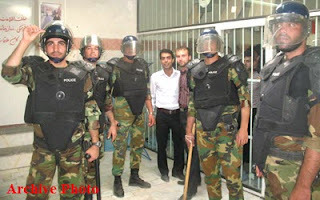 The protests could be heard all over Iran, even political prisoners joined in the protests. 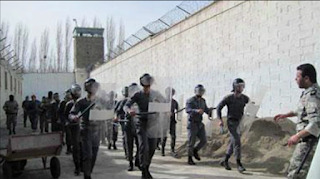 In hall 12 ward 4 in Karaj’s Gohardasht prison west of Tehran they chanted Death to Dictator and Death to mullahs regime. Youth In Tehran have been celebrating by jumping over fire chanting Mullahs must be killed they also burned a large portrait of Khomeini and Khamenei. The city of Esfahan has turned into a battleground between youth who are adamant to celebrate the feast of fire festival and the suppressive revolutionary guards who are keen to prevent the people from celebrating. The Iranian people changed the fire festival into a gigantic protest against the mullahs and the mullahs rule there was the protest in Robat Karim, Arak, Urumia, Rasht, Ardevil, Shiraz, Mashhad, Kashan, Asluyie, Yasuj, Shahr-e Kord, Kermanshah, Bane, Khoramabad, Sardasht and Mahshahr. The people's demands will be possible only under a new government, and these changes are the very core of the Iranian resistance, they are working hard from within Iran and from exile to liberate the people of Iran. In the 10 point plan made by the NCRI, all basic human rights have the highest priority. They are also clear on the wish to abolish the death penalty and medieval punishments like stoning. In the view of the resistance, this has no place in a democratic and free society. In these days we see that all over Iran people are no longer silent about the injustice has done to them by the clerical regime. They are loudly protesting and with the growth of social media, the whole world is supporting their fight for freedom. There will be more deaths and broken families but this is a price the people are willing to pay to secure that their children will grow up in a free and democratic Iran. Let us pray that Iran will lose her chains soon, Inch Allah. We demand Maryam Akbari-Monfared released unconditionally. On march 8, 2017, in a joint statement, 20 human rights organizations including the center for Human Rights in Iran (CHRI) called on the Iranian authorities to stop the harassment, intimidation and prosecution of human rights defenders seeking truth and justice on behalf of individuals who were summarily executed or forcibly disappeared during the 1980s and their families. 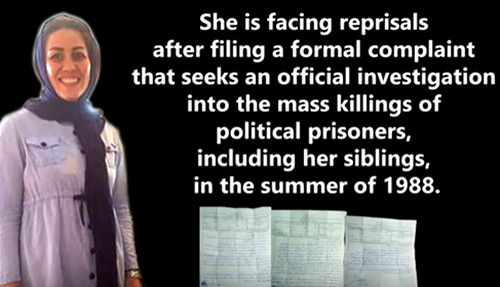 Maryam was sentenced to 15 years in prison in 2010 on several charges. Her conviction was based on the fact that she had made several phone calls to her siblings in the PMOI, she had also visited them near camp Ashraf in Iraq. Maryam was never provided a written judgment. She was told during the trial that she was serving prison time on behalf of her siblings. Her appeals were dismissed in a summary fashion with no explanation. Her request for judicial review is currently pending before Iran’s supreme court. 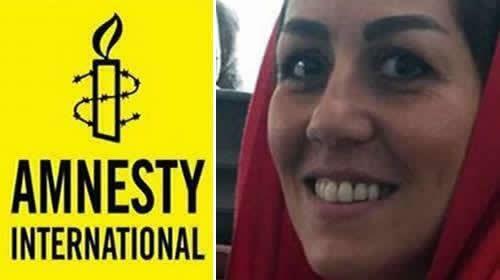 She is being held in prison on bogus charges mainly because her siblings are with the PMOI, she has never admitted to belong to the PMOI but the authorities use the possibility to harass her and restrain her healthcare access. She is in danger of becoming seriously ill if she is denied medical treatment. Maryam is imprisoned on false charges and must be released unconditionally. As we have seen all over the media, the poverty in Iran is alarmingly high and it is getting higher by the minute. 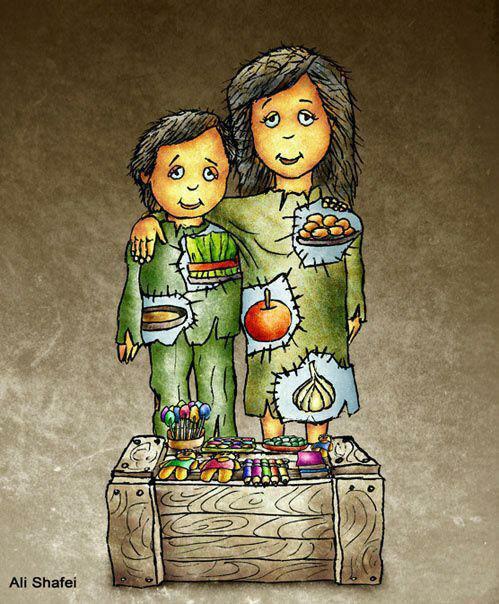 The people of Iran are starving and as a last resort, they are selling different body parts to provide for their family. The sellers are getting younger and are at this point not only selling kidneys anymore, one man, 34 years old was willing to sell his eyeball because that was the only thing he had to sell, he had already sold one kidney but the money was used to provide for 3 children and he was an illiterate and out of a job. For him, there was no other way. This is unfortunately not uncommon in Iran today, but the advertising has changed. From anonymous notes on a wall to adverts on the internet. and the amount of “adverts” are increasing, they are not small anonymous pieces of paper on a wall, but large signs to be seen everywhere. And due to the amount of body parts for sale people feel the need to advert their body parts for sale with a discount. The mullahs regime have no restrictions on the use of implants taken from living donors but are in fact using it as a tool to embezzle the deprived people of Iran. A large number of websites and blogs launched for this very cause are actually encouraging this vicious and devious trade. 70% of all kidney implants in Iran comes from living donors, the normal rate in the rest of the world are 15%. 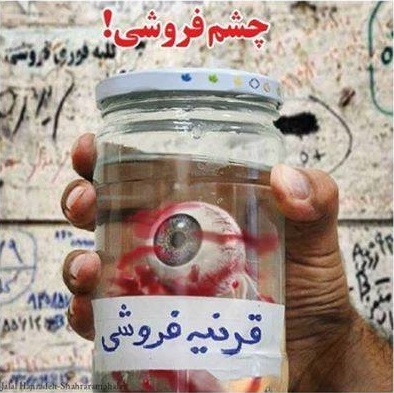 And Iranians are selling what they can to provide for their family, such as “liver for sale, O-, 23 years old”, “Bone marrow for sale, B-, 54 years old”. This is the very disturbing trend when we clearly see that Iran is a wealthy country and should, on paper, have no problem with helping those in need. The only obstacle for the ruling mullahs, instead of spending the Iranian wealth on the people they are using it to spread terror in the whole Middle east region, especially in Syria, Iraq, Lebanon and Yemen, in an effort to maintain this repulsive regime in power at any cost. And the rest of Iran’s wealth are going into the pocket of the mullahs. The only solution to this alarming development is a regime change, the mullahs must be replaced with a government that has the people's best interests in mind, a government that are willing to spend money on the poor and the needy, and that is willing to end all foreign wars that will release enough money to save the people of Iran from starvation. Iran:How the Supreme Leader and the IRGC Rob the people to fund International Terror. This is a manuscript released on March 8, 2017, in Paperback. The manuscript examines some vital factors and trends and especially the increase in influence by the Supreme leader and the IRGC. This study reveals the shift in ownership of companies and Property from state-owned to private owned and in that pretext own by the Supreme Leader and the power base in close proximity to him. Under the pretense of privatization, the Supreme Leader and his close associates have been able to rob the Iranian people for enormous sums of money, we are talking about thousands of billions of dollars. The driving force behind this economic trickery is to maintain its ability to intensify suppression, support terrorism, and advance the nuclear program. The study also reveals how it was possible for a small number of IRGC affiliates and Khamenei aides was able to get access to cheap, low-interest loans from different people funds and banks. The majority of these loans have never been paid back and that resulted in the financial crises we see today. The book reveals the different paths the money makes to end up funding the conflict in Syria, terrorism and secularism in Iraq, the war in Yemen, the nuclear and missile programs, the security apparatus in Iran, and of course it is fueling the fundamentalist operations around the world. The expense of these operations is indirectly paid by the Iranian people without their knowledge or the simple fact that the mullahs in Tehran do not take any notice of the people opinion on these matters. All western companies that deals with Iran can try to hide behind the notion that they are dealing only with the “Private sector” but in Iran, every major business is in one way or another associated with the Supreme Leader or his henchmen the IRGC. So trading with any company in Iran will be the same as to acknowledge the suppression of the Iranian people as legit. And of course, u will show the Mullahs that profit means more than human lives or human rights. The result of the government robbery is a society in a disastrous economic situation. The unemployment is at an all-time high and the inflation makes the amount of people that live under the poverty line grow at an alarming rate. The manufacturing sector is in a state of near-destruction, there is wide- scale corruption and there is a stagnation in people wages. All in all the losers in the regimes shady deals and steals are the Iranian population that in these days suffers under poverty, suppression and environmental crises that are also caused by the regime's desire to make money at the cheapest cost. None of the money made by oil or agricultural exports ever make it into the pockets of the people, every dime ends up in the pocket of the Supreme Leader, the IRGC or in different terror operations in other countries. The prisoners in section 4, hall 11 in Evin prison have been under terrible pressure and torture by the prison guards lately. There were been reports of prisoners been beaten so badly that they are urinating blood. The conditions are so horrific that several prisoners have been trying to commit suicide. The prisoners that have been tortured was not even taken to the clinic for treatment despite of broken hands and faces. The crimes that are being committed in section 4, hall 11 is a breach of every statute in the human rights bill and must be stopped. The revelations of these atrocities were made by the prisoners of hall 12 who have heard sounds of torture from hall 11. Ever since the civil war started in Syria 6 years ago the Syrian Civil Defense, more commonly known as the White helmets has saved close to 80 000 lives. They are the ones that run against the bombs, not away from them. 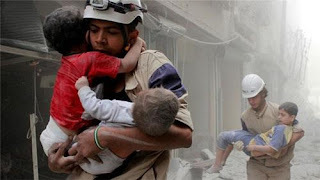 The Syrian Civil Defense was founded in late 2012 in the rebel-held cities Aleppo and Idlib after the Syrian army started bombing residential areas in the cities. The only thing the Syrian Civil Defense wants is to wake up one day and be out of a job. There have been numerous attempts from pro-Assad people to discredit their work. The latest attempt comes from the Swedish doctors for human rights. The chairman claims that the White Helmets are conducting malpractice and that the bombings are fake. If the shelling is fake, how do he explain all the dead children? This is not a new strategy from the pro-Assad propaganda machine. Over the years there has been published fake pictures and fake “news”. But the efforts of the pro-Assad propaganda machine has not paid off the way Assad had hoped. Thanks to the social media the atrocities made by the Syrian Army is known all over the world and most people do no longer believe the lies of Assad and his thugs. 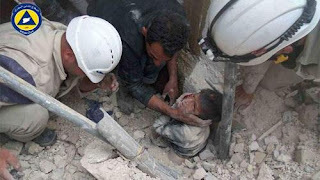 The White Helmets are continuously rescuing women, men and children from their bombed homes, Assad and his allies are bombing at night to make sure that they kill whole families. It is a shame that the White Helmets’ tireless work are smeared by these lies. According to The Economist، approximately one in six SCD have been killed or badly wounded, "many by “double-tap” Russian and Syrian airstrikes on the same site as they search for bodies." SCD has grown to be an organization of over 3,000 volunteers operating from 111 local civil defense centers across 8 provincial directorates (Aleppo, Idlib, Latakia, Hama, Homs, Damascus, Damascus Countryside, and Daraa). The SCD is the only help the civilian population can rely on in the rebel-held areas. They are the only rescue service helping the civilians. The reason they are labeled terrorists is because Assad claims they are, he has convinced parts of the world that he is the good guy and the freedom seekers are terrorists and he has the right to kill them all. In the later months, there has been evidence of torture and executions in Assad’s prisons that are of such character that they are extremely graphic. There have been civilians detained that have just disappeared from all records. In Aleppo there were 900 civilians that were detained by the regime and Assad’s allies the IRGC, these hostages are still unaccounted for, no one knows where they are. In Eastern Aleppo, the IRGC conducted genocide and the ones that tried to save the victims by risking their own lives were the White Helmets. It is time to set the record straight and side with truth and justice and give our unconditional support to the freedom fighters of Syria and the rescuers The White Helmets. Long live the Syrian revolution. We have been marking the international women’s day in many different ways over the years. Here in the west it has been protests about free abortion and other issues that are quite obscure for the Iranian women. The fight they are fighting is quite different. They are fighting for the right of being treated as human beings. In Iran a woman is her father’s property first, and later the property of her husband. She has no right to work, travel or shop unless she has permission from a male relative or her husband. The list of things that an Iranian woman is forbidden of doing is long. She is not allowed to ride a bike because it is bad for her chastity. ??? An Iranian woman is not allowed to watch men's sports. There are many strange prohibitions that are very strange if you see it from a western woman's point of view. An Iranian woman/ girl is not allowed to object if her father decides to marry her off at the age of 9. Child brides are quite usual in Iran and a woman is not allowed to ask for a divorce, that right is for men only. In Iran women are not allowed to choose their own clothing there are strict rules. Women have to obey the compulsatory hijab law. Women are also prevented from various educations that the mullahs consider as masculine professions. Why Iran is threatening US navy ?